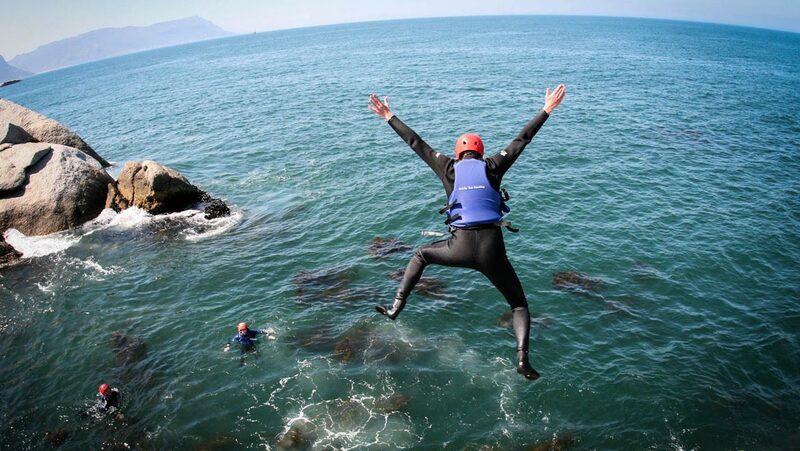 Coasteering is a brand new adventure activity that allows you to get up close and personal with the ocean! 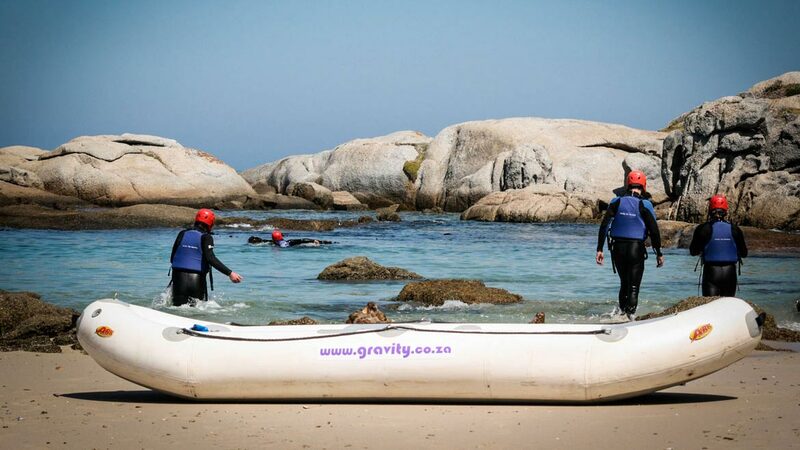 Pioneered in Wales and Scotland, Gravity is proud to be the first to offer this activity in South Africa. 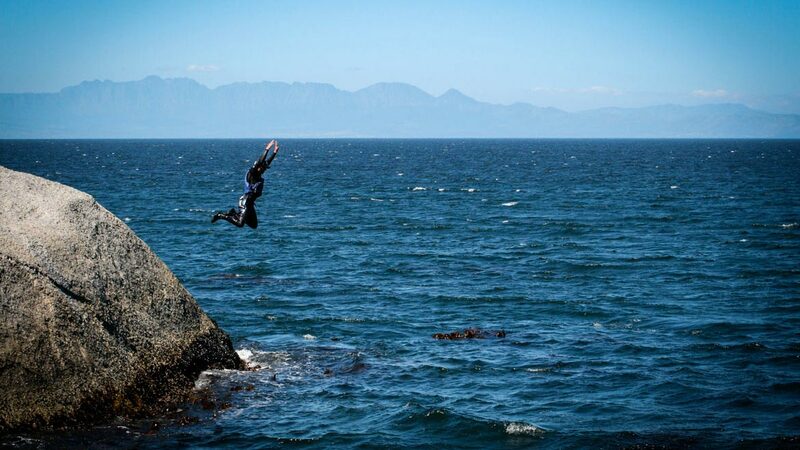 What makes it better is that it is right on our doorstep in Simonstown, close to Boulders Beach. 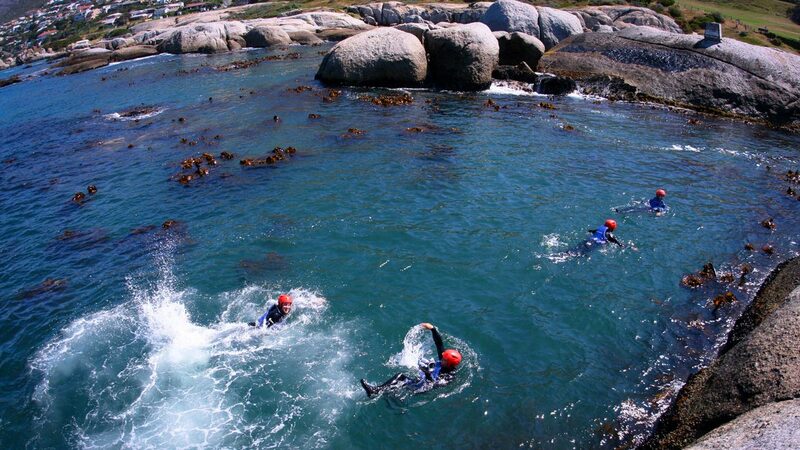 Coasteering bears some resemblance to Canyoning or Kloofing but takes place along a protected coastline rather than in a river course. 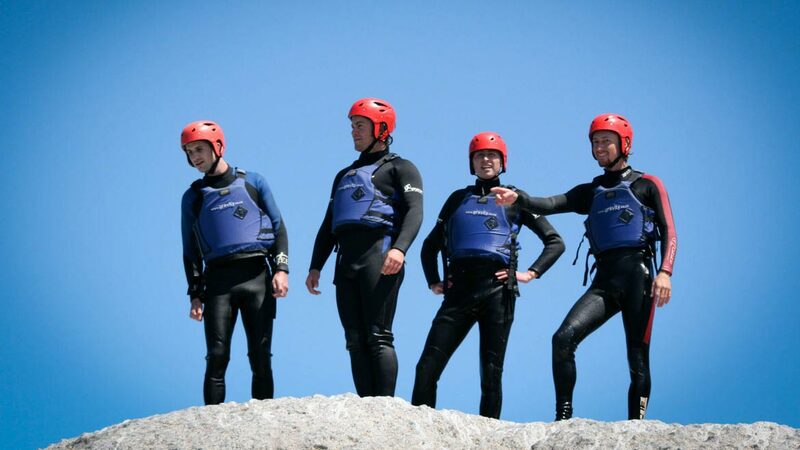 Each participant is equipped with wetsuit, PFD, helmet and is accompanied by a guide. The aim is to explore the inter-tidal zone by snorkelling, swimming and rock jumping. The crystal clear waters and protection from the South Easter make this the perfect location for all skill levels. An added bonus is the abundance of marine life and if you lucky you will come face to face with the African Penguin! 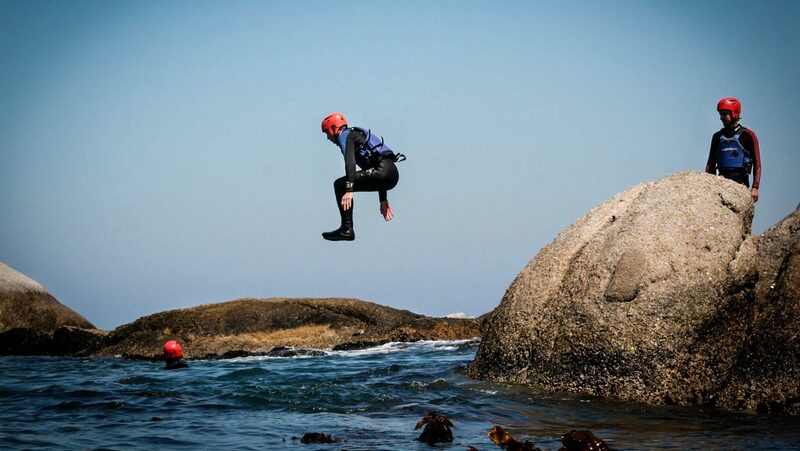 Although there are a number of rock jumps up to 8-10m depending on the tide, none of these are compulsory so you won’t be pressured into something you don’t want to do. Minimum group size is 4, max is 16 (but we can do more than one group simultaneously), Group discounts are available. Once you have your dose of adrenalin, visit the Penguins at Boulders beach, head to Simonstown for Lunch or carry on to Cape Point for a view of False Bay. 2018/19 *Web prices subject to change without notice. Transport from Cape Town can be arrange at an extra cost. Ask about our Group and Mid Week discounts!